Shinjo is full of the spirit of human nature. Mogami Machi - A spiritual township with a giant notable tree. the legend of Yoshitsune Minamoto and follow in the footprints of Basho Matsuo’s journey to the north. Walking around traditional cedar-beamed white plaster houses, time passes gently. 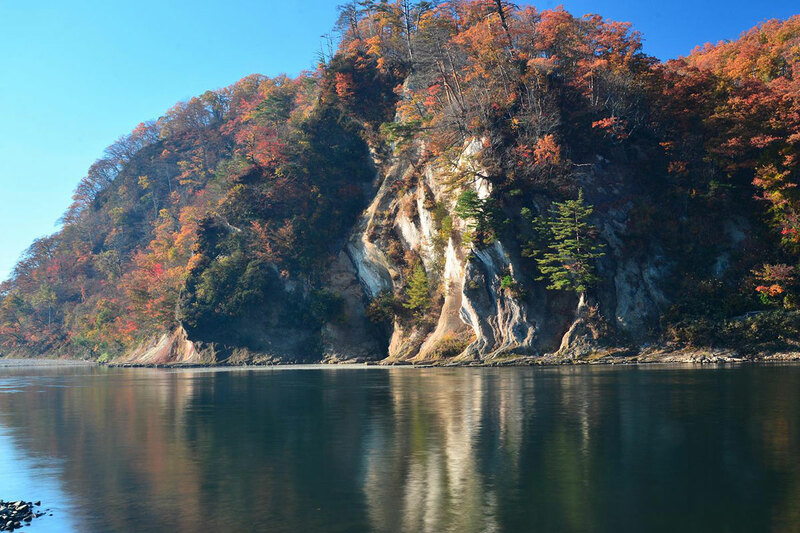 There are fishermen and other people who love the river. 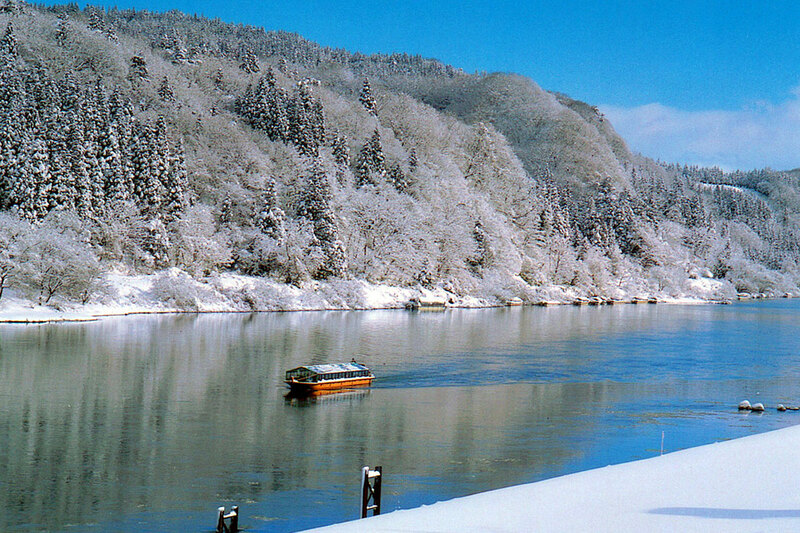 In unspoiled nature the boat cruises gently down the Mogamigawa River to the accompaniment of boatmen singing the traditional Mogami Funa Uta. A mile deep in the Mogami gorge, the forest of illusions, “ Genso no Mori” has ancient cedar trees with huge twisted branches. Some of the trees are over 1,000 years old. Meditate quietly between the grandeur of nature and the luxury of time in a peaceful setting. 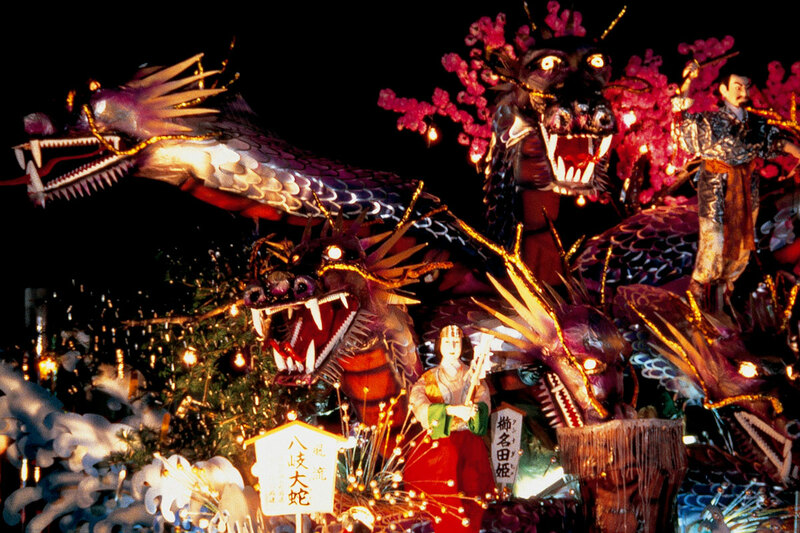 A tradition of local culture amidst the green of nature is the essence of the Japanese Furusato. Mountains with natural, untouched vegetation that hasn’t changed at all for centuries. Mild and precious time is a gift. Okura gets some of the deepest snowfall in all Japan. It is near to the holy Mt. Gassan, which accumulates 30 meters (30 m.) of snow over the winter.